Give (or Get) the Gift of Organic with a $300 Gift Card! 2014 Holiday Giveaway! Natural and organic blankets, pillows and other healthy bedding items make great gifts! Giving a gift card from The Natural Sleep Store is the perfect one-size-fits-all solution for the people on your list who love all things organic, are focused on being healthy, or who just might be a little challenging to buy for! A gift card allows the recipient to choose the perfect pillow for their particular sleep style, or the ideal weight blanket for the bed or cozying up with on the couch. 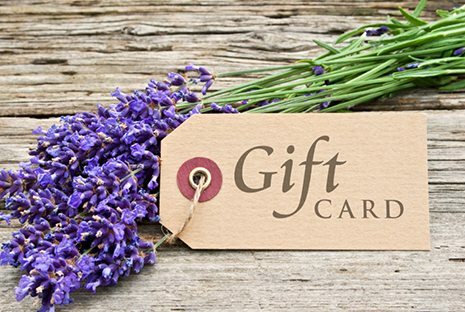 Gift cards from The Natural Sleep Store are available in a printable version, and any denomination. Please call us at 1.866.663.0859 to order a gift certificate! For our Holiday Giveaway, ENTER to win a $300 gift certificate to our store! Keep it for yourself and use it towards a purchase of anything in our store, or give it as a gift! No purchase necessary to win. Giveaway ends December 31st, 2014. Congrats to Leora T. of Oregon! You won this giveaway!